RFC was delighted to be providing our Reference Rhapsody Loudspeakers for the Albarry Music Room at this year’s NAS at Whittlebury. 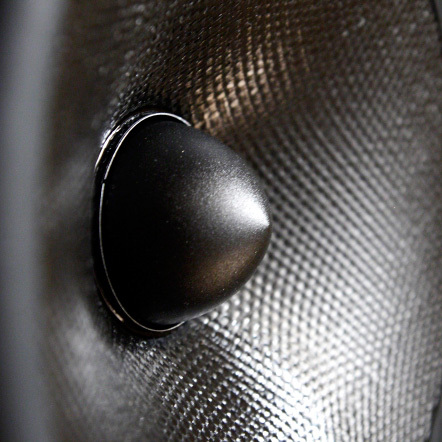 This year was our first year exhibiting and thanks to Neil Burnett at Albarry Music, we received an opportunity to showcase our close to full range Rhapsody speakers. As with most hotels rooms, the room we had to exhibit in was far from ideal acoustically. The room had cubic proportions and many highly reflective surfaces so whilst some targeted room treatment helped, we were nonetheless handicapped with some bass bloom at between 40 and 50Hz and some upper mind range reflections which caused some audible phase distortion issues heard as a slight edge to some voices on sung tracks. Overall though, the sound could have been a lot worse and we were very pleased to have received so many supportive and positive comments. 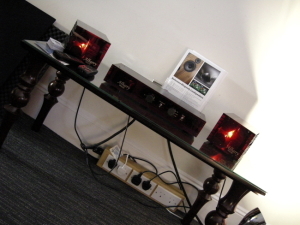 Many people were surprised with the physical size of the Rhapsody speakers as well as the fine cabinetry work more often found on high quality furniture, and it took some convincing to push the point that the display set came in at under £3000 per pair! RFC were present to support Albarry Music, also in conjunction with “Hifi In Touch“. The main system for the weekend composed the Albarry AP11 preamplifier, their superb phono preamplifier and new M1108 monoblocks driving the Reference Rhapsody Loudspeakers. 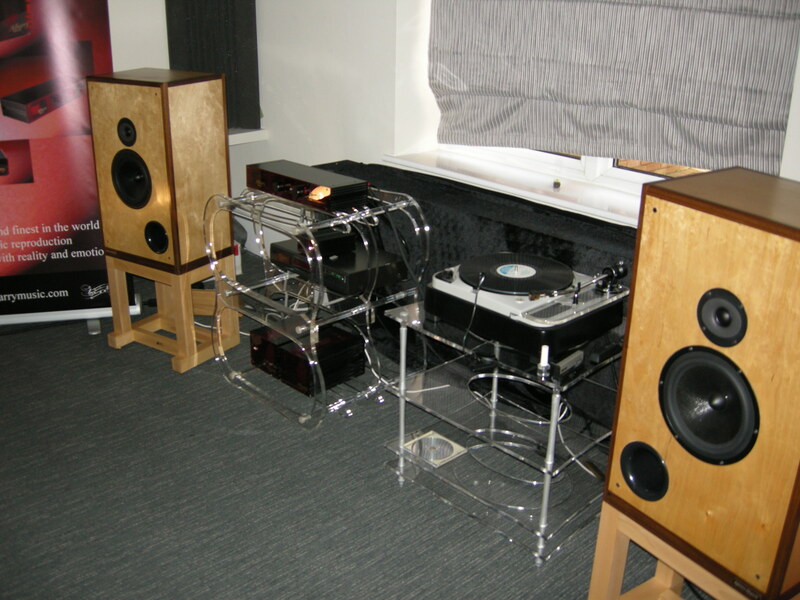 The sources included one of Albarry’s own prototype CDPs plus an LP12 and a lovely Thorens TD124 equipped with Nagaoka cartridge. There were many positive comments on sound quality with a few gents electing to stay in the room for about half of the Saturday commenting that “we’re happy just to sit and listen to a very involving and non-fatiguing sound”. 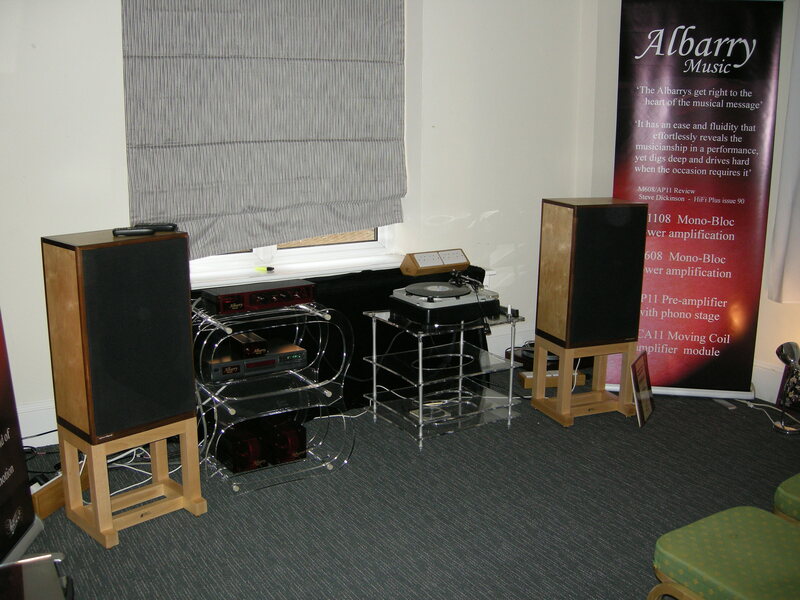 The imaging strength and large scale that the Rhapsodys conveyed was also notable and the M1108 monoblocks doing the driving work were also the subject of numerous positive comments including one gent who’s heard them at every show they’ve been exhibited at stating “this is the best I’ve ever heard Albarry amplification”. Overall, the sound coming from this combination had superb imaging and impact, with some people asking “where’s the subwoofer hidden?”. We received many positive comments about the system sound including people who commented that it was their “best sounding room of the show”, quite an accolade considering some of the multi-££££ systems on show! 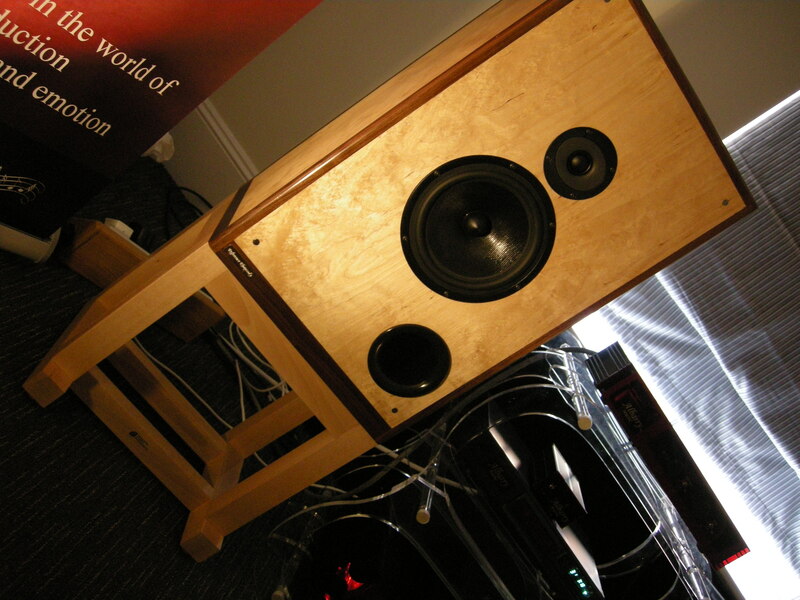 Our sincere thanks to everyone who supported us and visited our room, including visits from many of RFC customers and suppliers plus visits from Max Townsend, Graham Tricker (GT Audio and UK distributor for ZYX) and Graham Nalty from Black Rhodium amongst others..
For further details on EITHER the RFC Reference Rhapsody Loudspeaker (including to arrange an audition) OR Albarry Music products, please use the Contact Page.